New Meeting!! This is a great location, and has a beginner’s meeting too! Please plan to support! Self-Supporting doesn’t just mean financial support, it also means giving of the time, talents, and resources you have! Many members in District 8 came together to represent Alanon at the six Back-To-School Health Fairs held over three weekends in July and August. Here is a picture of the table set up at Leto High School on August 5th with both Spanish and English materials! What a wonderful experience donating a few hours time to spread our message of hope to many people. 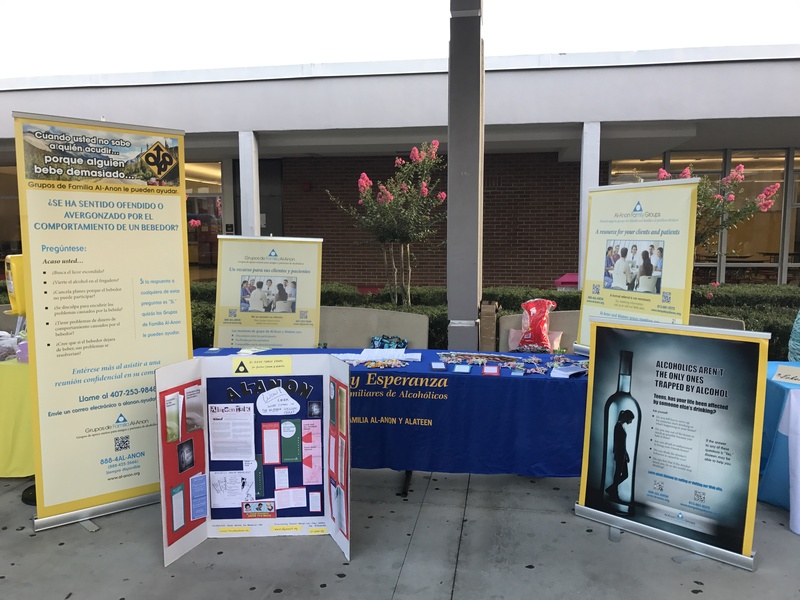 We even had the opportunity to give brochures to many schools who were represented at the fairs, so that their counselors and administrators know where they can send students who have been affected by someone else’s alcoholism! This was a real example of how our program works- one person had an idea, someone else volunteered to coordinate, and other people volunteered to serve. Each person gave their particular talents and resources to make this a successful community outreach. This is also a great representation of the 4th Concept- Participation is the key to harmony! Without the help and support of each person, none of this would have been possible! District 8 events are the biggest way that we as a District raise money for operating expenses for the year, as well as to contribute to Area and WSO. All of this is so that we may continue to carry the message of hope to people who have been affected by alcoholism. 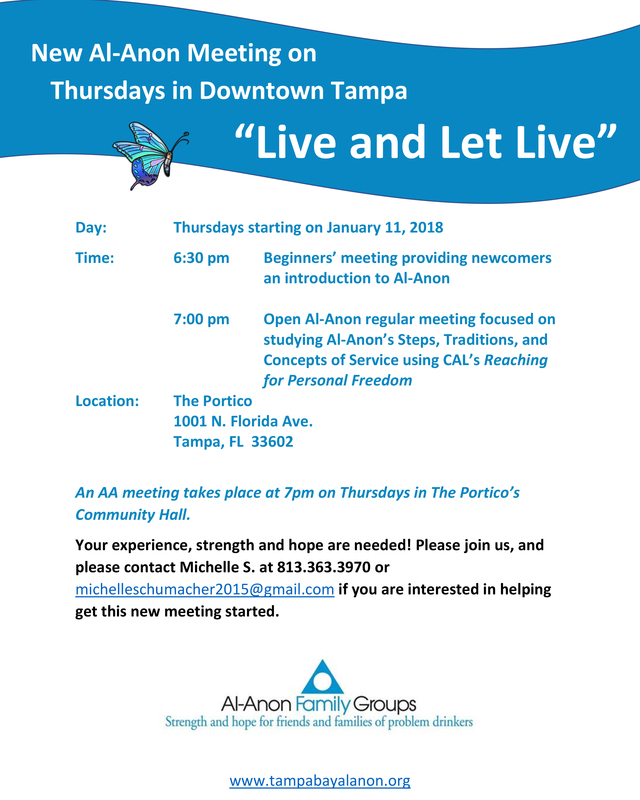 Please email events@tampabayalanon.org for more information on hosting an event, or to sign up!